Your windows are a huge feature on your home and have many roles. Windows contribute to your home’s two most important factors – energy efficiency and curb appeal. It’s important to know when to replace your windows so you don’t lose out on money and home value. There are many signs that lead to window replacement that can be noticed fairly easily. However, letting those signs go unnoticed is not a smart move at all. Window replacement is smartest and cost-effective investments you can make. In this article, we’ll go over everything you need to know to replace your windows. If you have an older home or can’t remember when the last time you got new windows was, then there might be some clear signs that you need to get replacements. Do you have to prepare yourself to open your windows? Has it become more of a chore to let fresh air in than an enjoyment? This is a tell-tale sign that you need to consider replacing your windows. When your windows become old, worn out or damaged, the inner-workings can get messed up causing your windows to work ineffectively. Locks, sashes and screens can all become a hassle to open. Not only is it annoying to operate your windows but, when they’re not working properly it poses a threat to your safety and security. If a fire were to occur and the windows are the only way out, you need them to be in good working condition. Also, if your window locks don’t work, that makes your house more vulnerable to break-ins. That should be enough to convince you it’s time to replace your windows. Storm windows are only a minor solution to window problems. The only time they should be used is to improve on your already energy efficient windows or to cover up a problem for short term use while you prepare to replace your windows. When you have to use storm windows year round and have to keep replacing them, you’re just wasting time and money. Using storm windows to mask inefficient windows is not a smart thing to do as a homeowner. Another common mistake homeowners make is trying to cover up window flaws with window plastic. It’s a thin film that goes on the glass to help keep drafts out, but it doesn’t really work. What should make you want to replace your windows the most is when you see your monthly energy bills and they’re higher than they should be. One of the biggest contributors to rising heating and cooling bills are inefficient, drafty windows. When your windows are letting the outside air into your home, your furnace and air conditioner have to work overtime to keep your home at your desired temperature. You’re literally throwing money out of the window when you don’t replace your worn out windows. Replacing your windows will help you to save money each month immediately after installation. If you have old, wood windows on your home in Chicago, chances are they’re not in the best shape. Wood is very susceptible to rotting, warping and expanding when exposed to moisture. Even if you keep up with maintaining your wood windows, they’re still no match for Chicago weather. 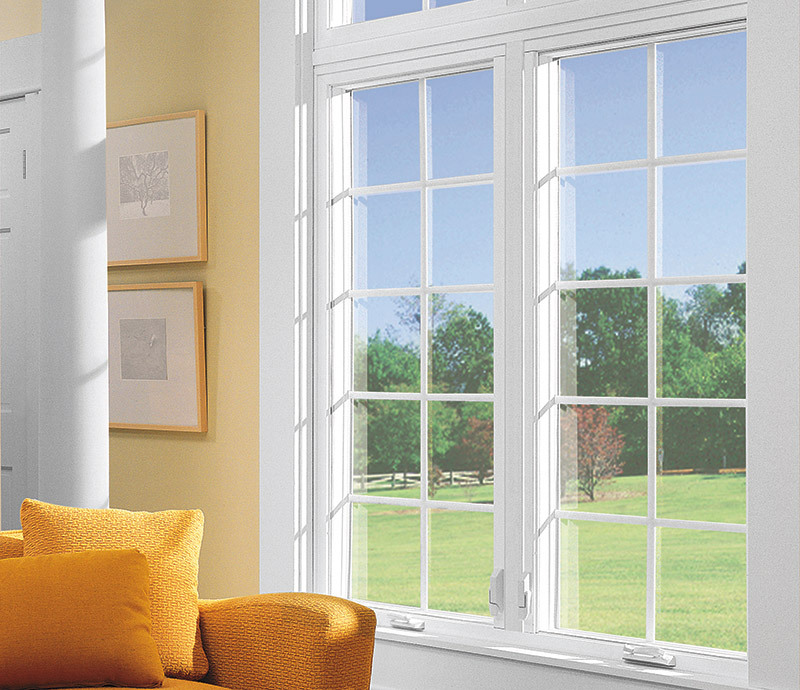 The only solution to fixing wood windows is to replace them with energy efficient vinyl windows. Even if your windows aren’t made of wood, they can still become damaged and worn out over time. One common problem that happens is window seal failure. When the seals fail, replacing your windows is absolutely necessary if your windows are broken and letting the elements into your home. When you’ve realized that it’s time to replace your windows, there are some key factors to take into consideration. You’ll want to make sure you get the right windows for Chicago. You can rule out anything wood or aluminum right away. As mentioned earlier, wood can easily rot, warp and expand and with the amount of moisture they’ll face in Chicago, you can forget about installing wood windows. Aluminum is a poor choice as well because it absorbs heat and will make your home hotter in the summer causing you to rely more on your air conditioner to stay comfortable. It also doesn’t perform well in extreme weather conditions. In order to truly gain from the benefits of replacing your windows, you need to have vinyl windows installed. Chicago weather gets extremely harsh and unpredictable no matter the time of year. You need windows that’ll be able to withstand any weather condition so your home stays comfortable year round. 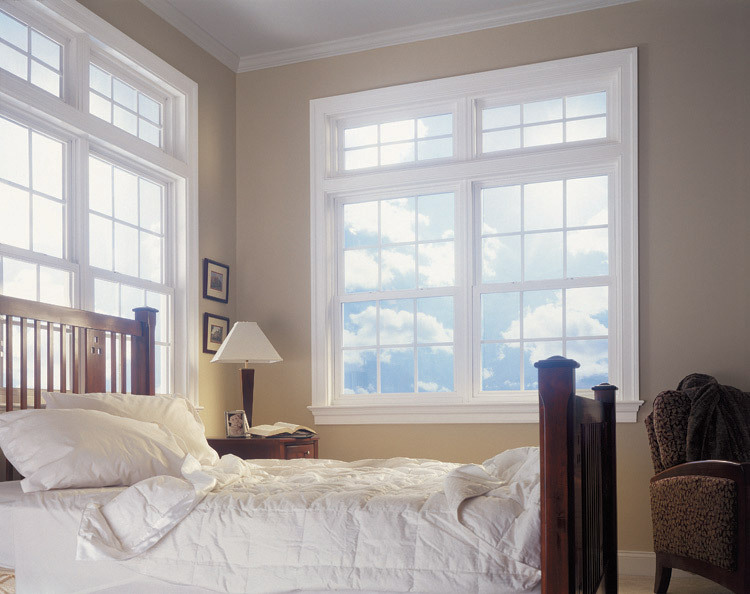 Vinyl windows are the most energy efficient option available. They’ll never crack, warp, rot or expand unlike their wood counterparts. Plus, vinyl windows feature insulated frames and argon gas-filled glass for maximum insulation. You also have many styles and options to choose from including double hung, casement, picture and much more. If you want the look of wood, you can choose to have a wood grain finish on your windows from Feldco. If your windows are old and worn out, they need to be replaced. Windows that are falling apart, difficult to open and costing you money on energy bills will cause you a lot of headaches as a homeowner. Join the over 350,000 happy homeowners that chose Feldco for their vinyl replacement windows. We’ve been serving Chicago for over 40 years so it’s no wonder why so many homeowners trust us. When you find out it’s time to replace your windows, start with a free quote online from Feldco!